In January 2018 I went on a sailing ship cruise in the Caribbean with Sail Windjammer on the S/V Mandalay. 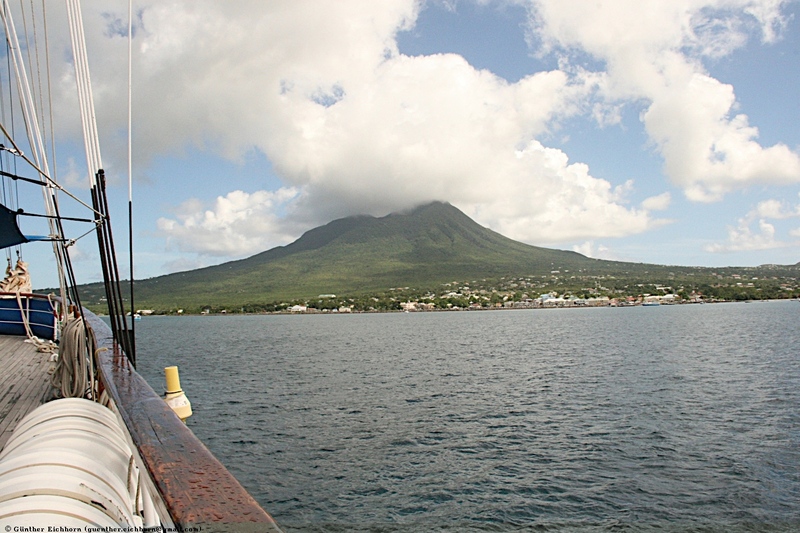 Nevis was one of the stops on this cruise. 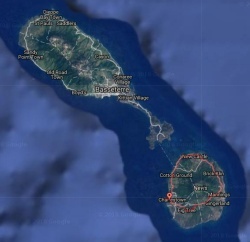 Saint Kitts and Nevis has some expensive real estate. If you buy a villa that costs more than $250,000, you automatically get citizenship in Saint Kitts and Nevis. 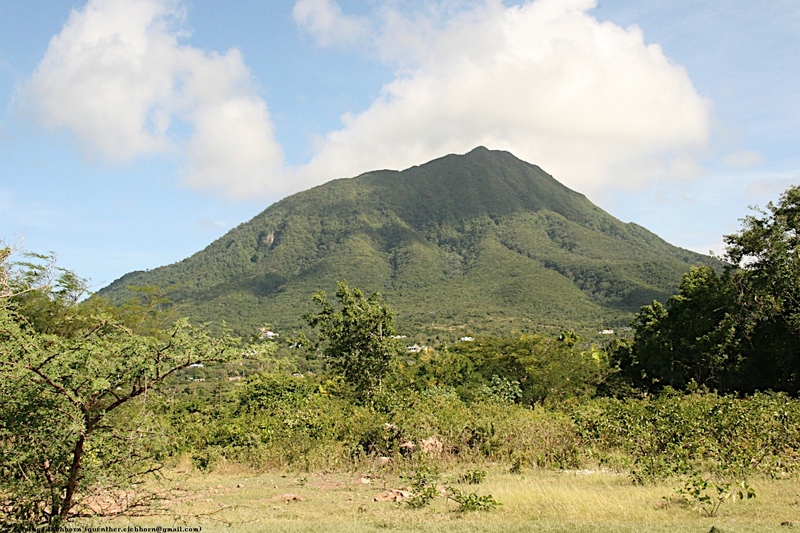 Nevis was sighted first by Europeans when Columbus sailed by there in 1493. 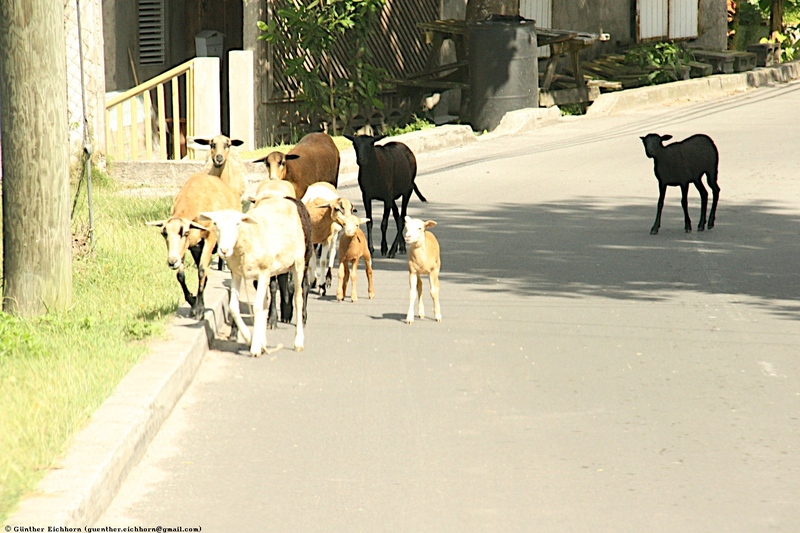 Saint Kitts and Nevis were a British colony till their independence in 1983. For the USA, Nevis is important historically as the birth place of Alexander Hamilton, one of the Founding Fathers of the United States. 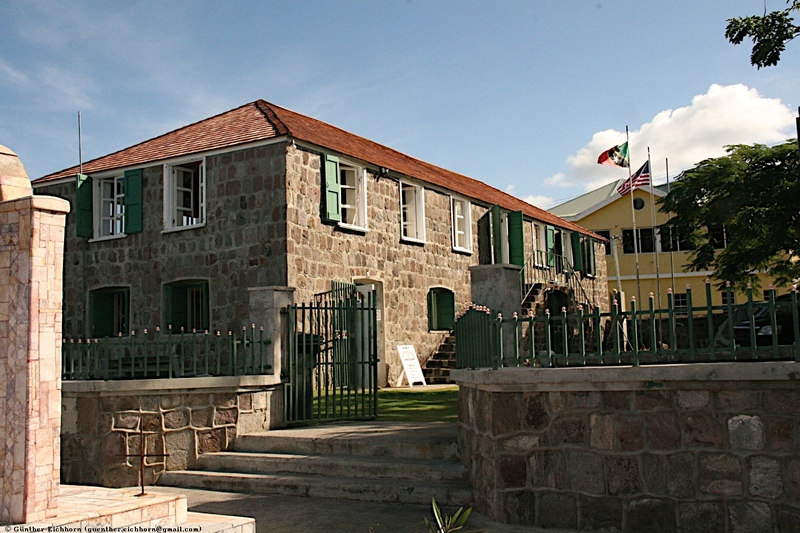 For the United Kingdom, Nevis is important historically as the place where Horatio Nelson was stationed as a young sea captain, and where he met and married a Nevisian, Frances Nisbet, the young widow of a plantation owner. The main economic force is tourism. One of the resorts, the Four Seasons employs over 1000 people, which is about 10% of the total population of Nevis. 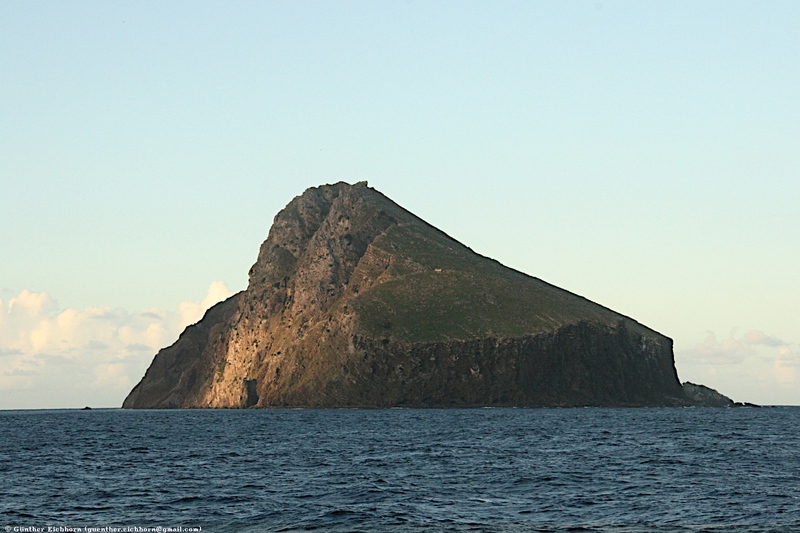 The island is basically cone shaped with a volcano in the center. It has plenty of sandy beaches. The main town is Charlestown. 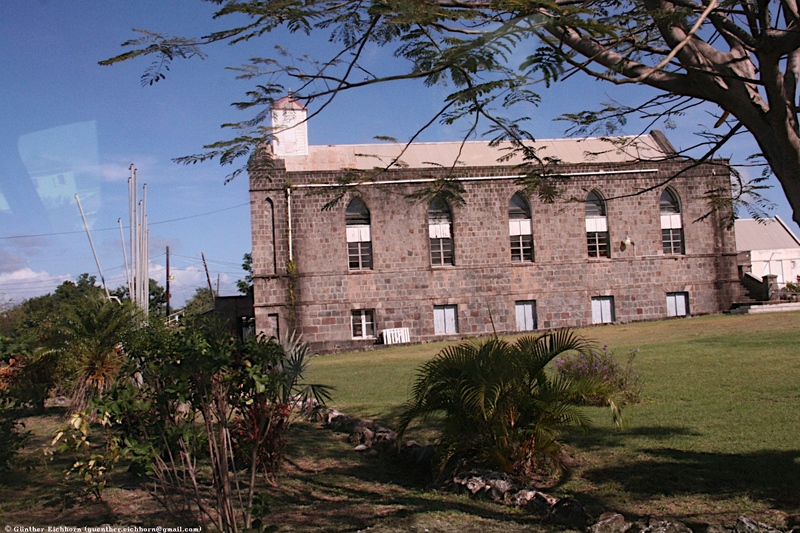 There are a few 17th century churches on Nevis. Some of the resort hotels have impressive botanical gardens around them. But other than that there is not much nature to see. There are Vervet Monkeys (Chlorocebus pygerythrus, german: Südliche Grünmeerkatze, french: Vervet bleu). These monkeys were introduced to the islands as pets in the 17th or 18th centuries. 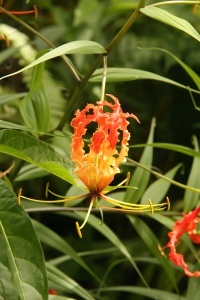 Some escaped or were set free and established themselves on the island. 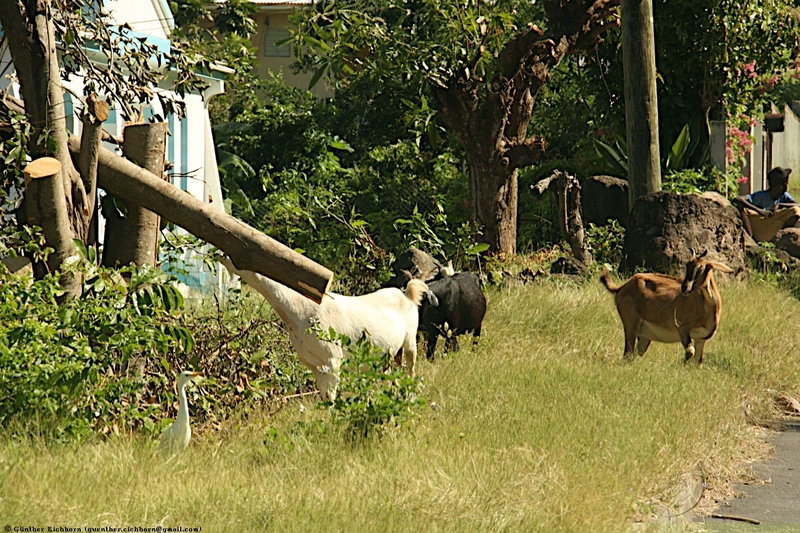 See the Wikipedia page for Nevis.